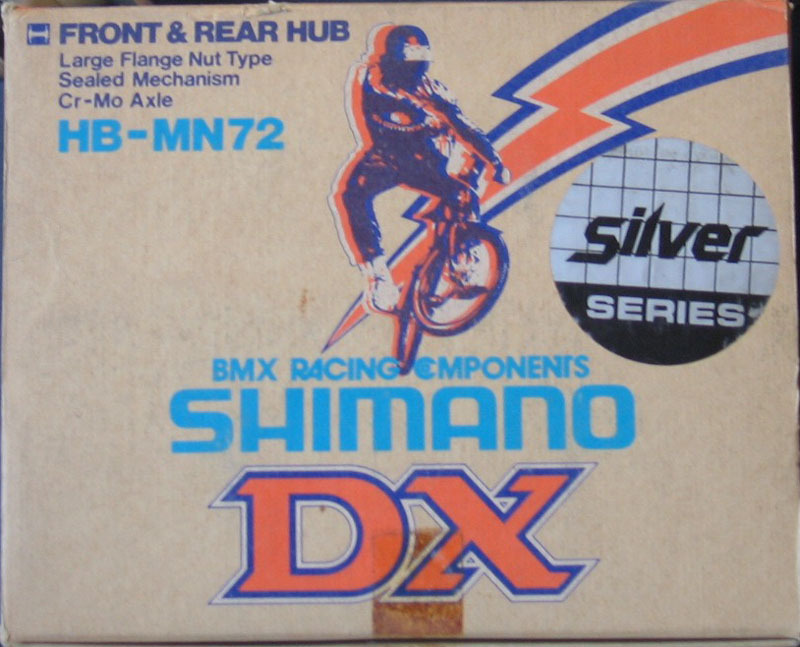 NOS Shimano DX Silver Series BMX hubs. 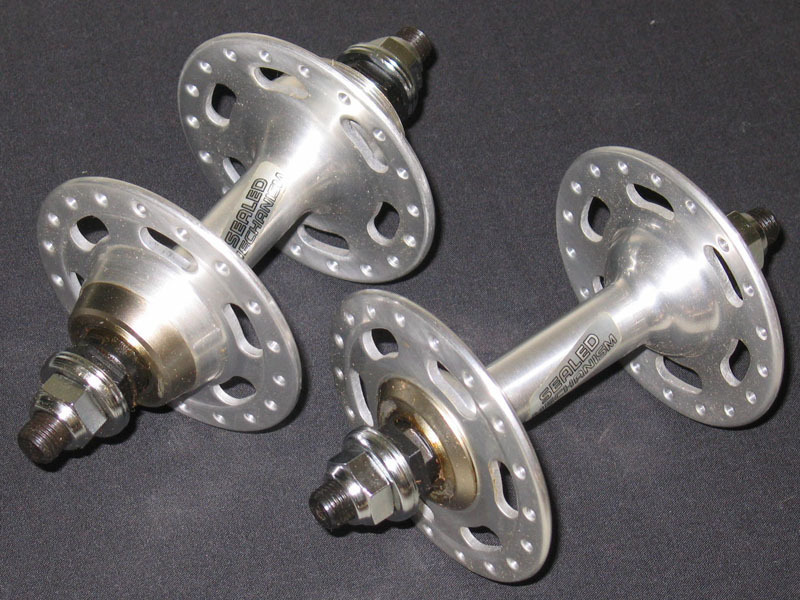 These are seal mechanism high flange hubs by Shimano and not to be confused with regular sealed bearing hubs. 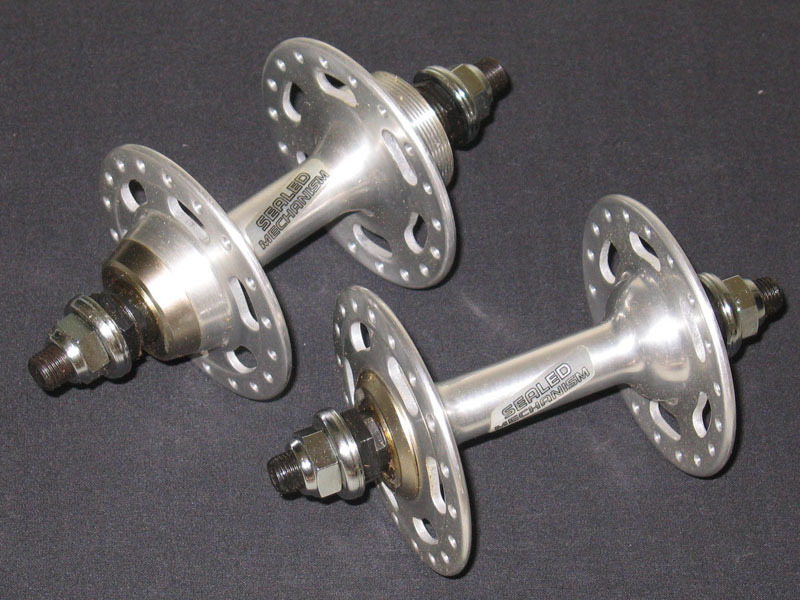 These still have the loose balls, however, they run like sealed bearing hubs. These hubs have never been mounted and appear worse in the photos than the are in person. They are not pitted or anything and have been kept in the original box. It’s just the way the hubs are and not highly polished. They have 10mm cro-mo axles.